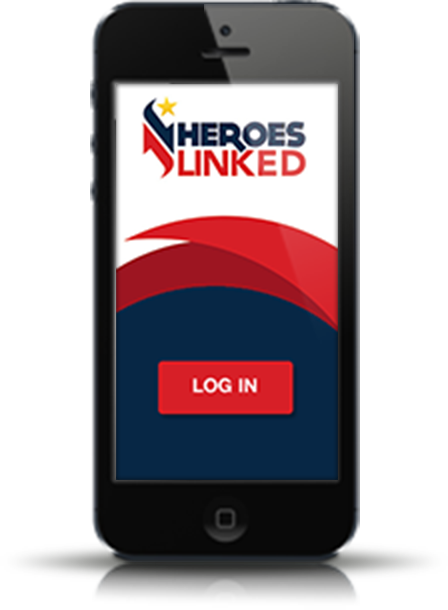 HEROES LINKED IS YOUR NETWORK FOR SUCCESS. A PROFESSIONAL DEVELOPMENT PLATFORM PROVIDING ACCESS TO A COMMUNITY OF FELLOW AMERICANS READY TO HELP YOU SUCCEED. With direct one-on-one conversations, you will form real relationships and curate a versatile network. Heroes Linked gives you the tools to put your best foot forward every time and receive powerful guidance on how to achieve the career of your dreams. The guidance you are looking for is just a click and a phone call away. Whether you are looking for one-time feedback or ongoing advice, Heroes Linked is the platform that allows you to create the connections, and relationships you need to succeed. Number of personnel exiting the U.S. Armed Forces each year for the next ten years. Put your best foot forward. always. Heroes Linked will guide you through the process of making an exceptional impression at every point of contact. With built-in advice on effective communications along with transparent mentor-specific expectations, you will develop world-class corporate skills while fostering the relationships that help you find and achieve the career of your dreams. 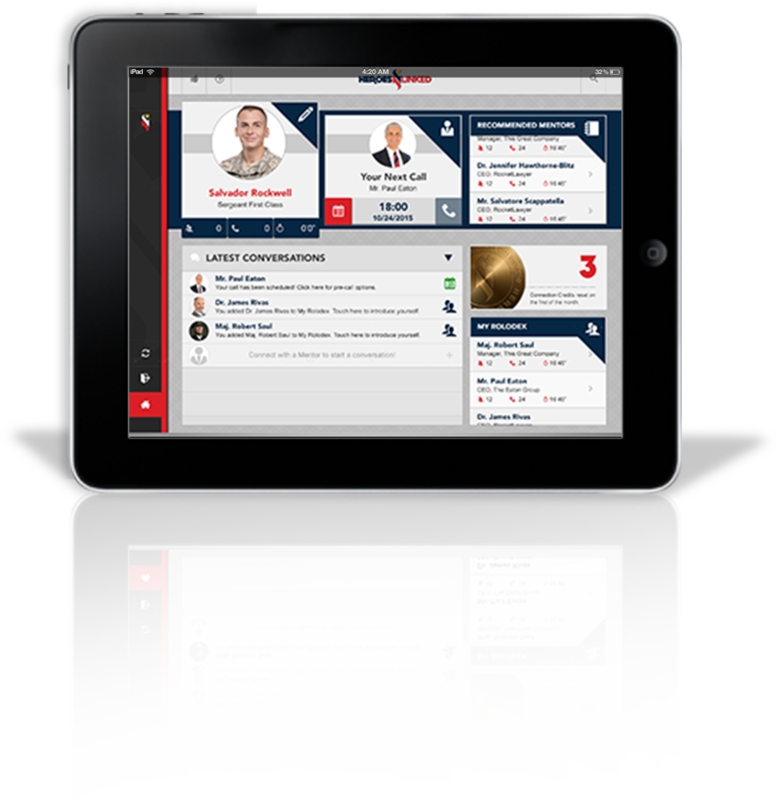 Cross platform interface for all phones, computers, and browsers. Affirmative, you heard right! If you have an electronic device, chances are you can use Heroes Linked on it. We make it super easy for you to reach out to the expanding list of geographically and professionally diverse Heroes Linked Mentors. Make the call whenever and wherever you might be. 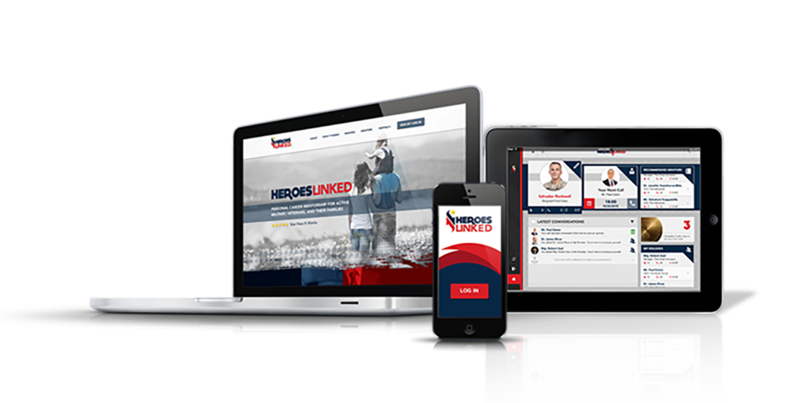 Heroes Linked is a project of the non-profit, non-partisan Military and Veterans Appreciation Trust, a 501 (c) (3) organization dedicated to helping Veterans, not special-interests. Our corporate partners earn respect from their peers by logging mentorship hours among their staff and leadership. Their added knowledge opens doors and gives you a path to professional career advice from the highest spheres of business.